There’s no substitute, though, for the book itself. As great as these pages look on onscreen, even as oversize enlargements, they’re still no match for the impact they make on the printed page. It’s not even close. 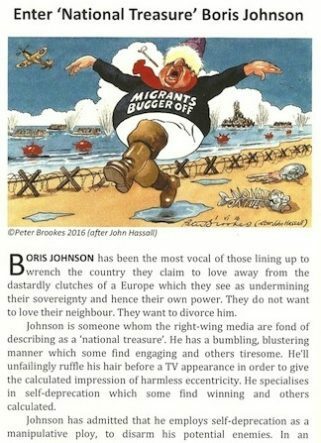 We all love Boris Johnson. Or do we? In his new book Heathcote Williams – joined by seven top cartoonists – explores the dark side of Britain’s most popular politician. 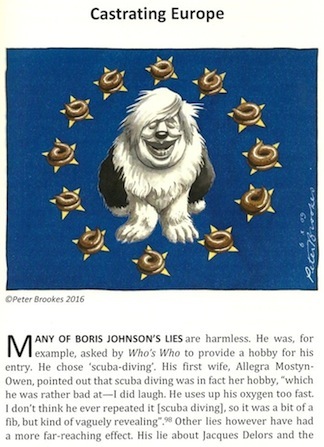 Uncovered here are the lies, the sackings, the betrayals, the racist insults, the brush with criminality, that should have got Boris Johnson disbarred from ever being considered for high office. Johnson has dismissed all controversy with a bon mot and a ruffle of his blonde locks, and now on the back of Brexit Britain, he has reached the dizzy heights of the Foreign Office. 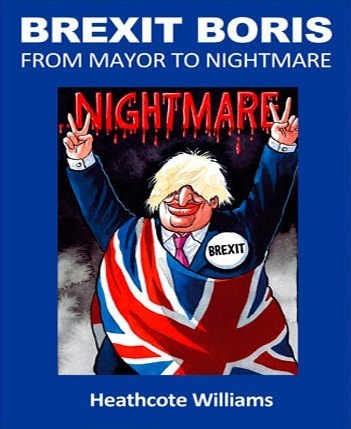 In Brexit Boris – From Mayor to Nightmare, Heathcote Williams wields his scalpel to lay bare the real Boris Johnson. 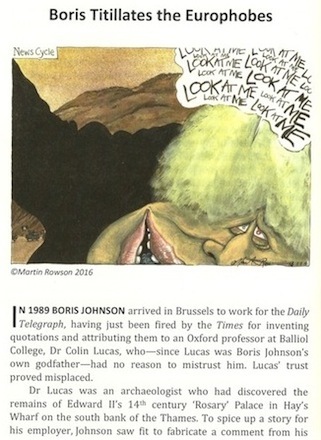 This entry was posted on 25 August, 2016 in homepage and tagged Andy Davey, Boris Johnson, Brexit, Brexit Boris: From Mayor to Nightmare, Gerald Scarfe, Heathcote Williams, Jan Herman, Martin Rowson, Peter Brookes, PUBLIC READING ROOMS, Ralph Steadman, Steve Bell. Bookmark the permalink. 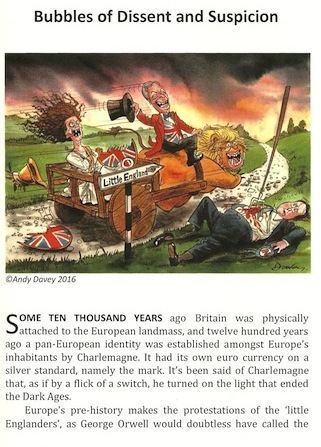 The cartoons by the U.K.’s top political cartoonists are gems of satirical wit. But a hundred years from now it’s the text that will be remembered for making clear what the stakes and issues were.